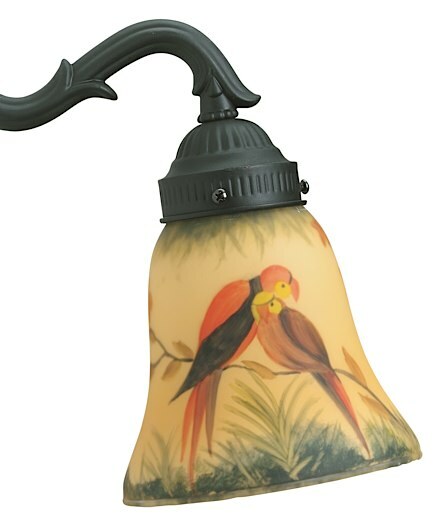 A Fanimation hand painted parrot glass shade. Glass is sold individually. It requires a Fanimation three or four light fitter.